The Christian method of dividing time is based on the estimated birth date of Jesus of Nazareth, using B.C. and A.D designations. The paths of math and religion don't often cross, but if you need to calculate years across B.C. and A.D. you need to put your mathematical hat on. You do simple math calculations to calculate years across B.C. and A.D., but it's important to adjust for the fact that there is no year 0 in the calendar. B.C. stands for "before Christ," meaning before Jesus was born. So 400 B.C. means 400 years before Jesus was born. A.D. comes from the Latin "anno Domini," which means "in the year of the Lord." A.D. applies to years following the birth of Jesus. Therefore, it's easy to assume that A.D. 1500 means 1,500 years after Jesus was born, but that's not strictly true because A.D. began at 1. A.D. 1500 is actually 1,499 years after Jesus was born. To further complicate the matter, there's an ongoing debate over when Jesus was born. This is not provided in the gospels or any secular text. Some scholars stick with A.D. 1, while others believe he was born between 6 B.C. and 4 B.C., partly based on the biblical tale of Herod the Great. A monk called Dionysius Exiguus calculated his own present year to be A.D. 525. Counting from that year reaches the current year. 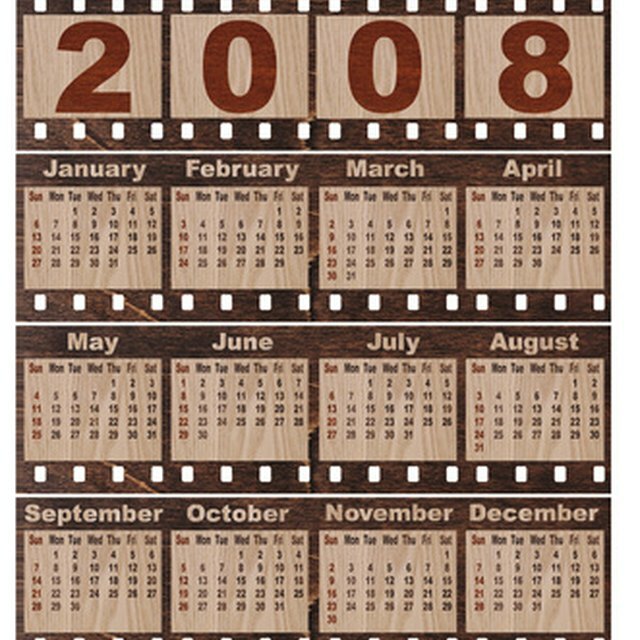 A.D. is now used to label the number of years in the Gregorian calendar, the most widely used calendar in the world and the unofficial global standard. You add one year every January 1. Calculating Years Across B.C. and A.D. If you have a math problem that requires you to calculate years across B.C. and A.D., it's crucial to adjust for the fact that there was no year 0. For example, if you need to work out how many years are between January 1, 200 B.C. to January 1, A.D. 700 you add the BC and AD numbers. The calculation is 700 + 200, which equals 900 years. However, you still have to adjust for the absence of year 0. You do this by removing 1 from your answer, so 900 minus 1 is 899. The calculation is a little more complicated when you are calculating partial years across B.C. and A.D. First, change the month of the year into decimal form. If 12 months is 1, then nine months is 0.75, six months is 0.5, and three months is 0.25. Say you need to work out what calendar year was 4000 years before October A.D. 1664. The simplest method is to take the starting calendar year and figure out how much time has lapsed since January 1, A.D. 1. In other words, October in the year 1664 was 1,663.75 years after January 1, A.D. 1. Then calculate 1663.75 minus 4000, which is -2336.25. This means 4,000 years before October A.D. 1664 was March in the year 2336 B.C. Gillespie, Claire. "How to Calculate Years Across BC and AD." Sciencing, https://sciencing.com/calculate-years-across-bc-ad-8433373.html. 26 April 2018.